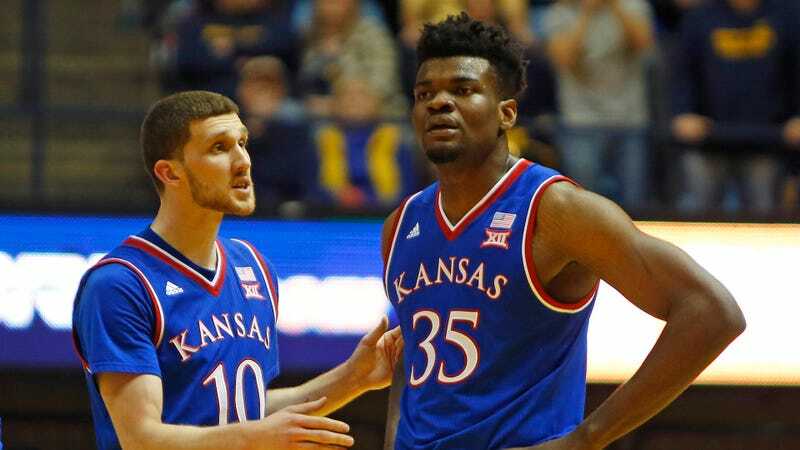 Report: Police Called To Kansas Men's Basketball Dorm Due To Guy "Wanting To Give Free-Throw Advice"
University of Kansas police were called to the men’s basketball dorm today because a man reportedly stopped by several times to try giving at least one player some advice on shooting free throws, according to the Lawrence Journal-World. The man—who is not a student—was gone by the time police showed up. 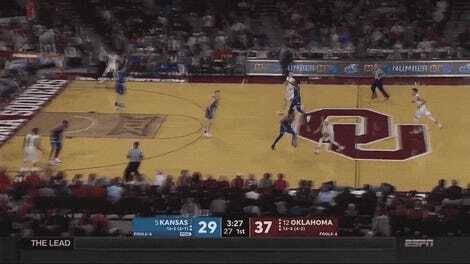 A police spokesman could not identify “the intended recipient of the man’s advice” to the Journal-World, but it doesn’t seem out of the question that it would be Udoka Azubuike, who’s made fewer than 40 percent of his free throws this year and missed six in the final three and a half minutes of yesterday’s loss to Oklahoma. As a whole, Kansas is 216th among Division 1 teams in free-throw percentage, making 69.7 percent. Does John Calipari Know What Socialism Is?